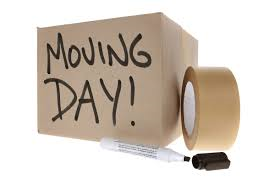 In order for the school to manage the move we have been granted four additional closure days, two at the end of the summer term and two at the beginning of the autumn term. Although the contractors will move the furniture and equipment, school staff will need to pack up the contents of the school and label furniture and boxes to ensure it arrives in the right place. Once in the school everything will need to be unpacked and organised ready for the children to start in their new classes. We also have a TD Day at the beginning of the new term to give the staff from the two sites an opportunity to get together to share good practice and finalise procedures and policies. This will mean that the summer term will finish at lunchtime on Wednesday 19th July and the school will reopen in the new building on Wednesday 6th September.